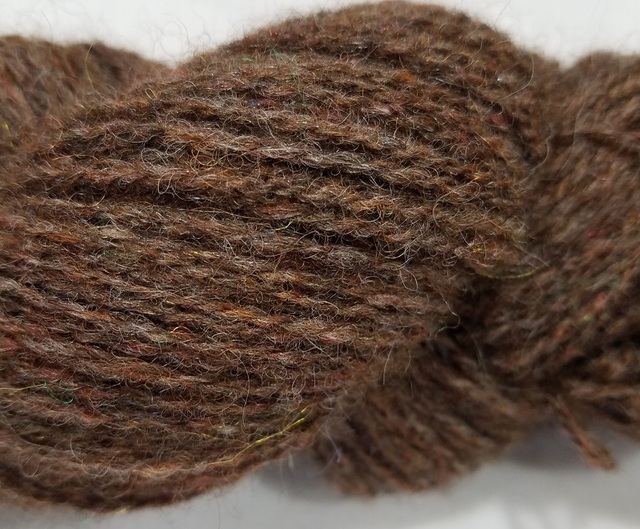 2 ply sport weight yarn in heathery colors, in a blend of 50% alpaca, 40% wool, 8% tencel, and 2% firestar. 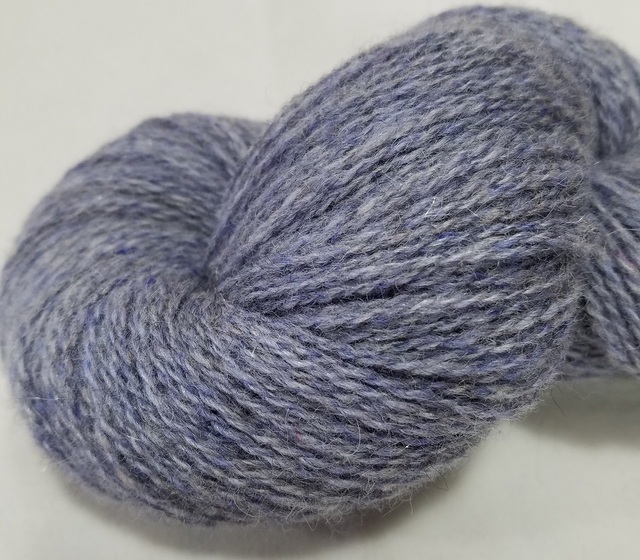 Large skein of approx. 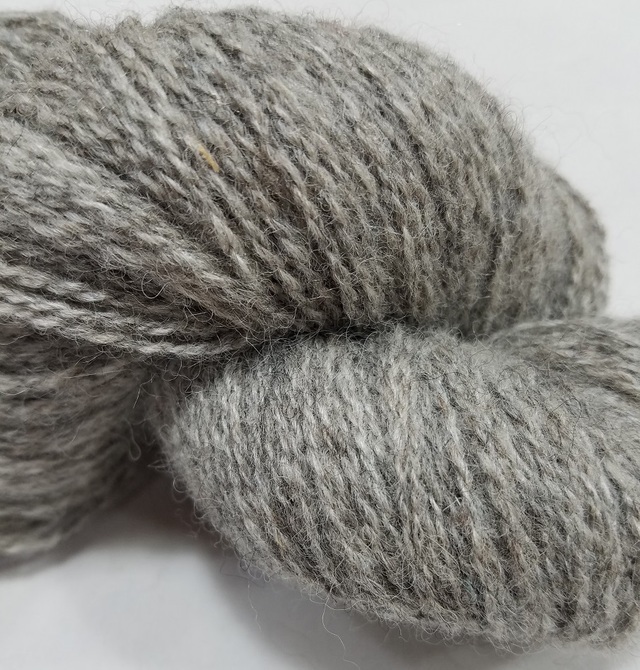 300 yds in a 3.5 oz skein.